The Plot: Little Charlie is a nice boy who lives with his poor family in a small house, he loves chocolates and the Willy Wonka bars are is favorite. One day, Willy Wonka himself creates a contest where five lucky winners will visit his chocolate factory, in order to be one of the winners you have to find a golden ticket inside one of his chocolate bars. 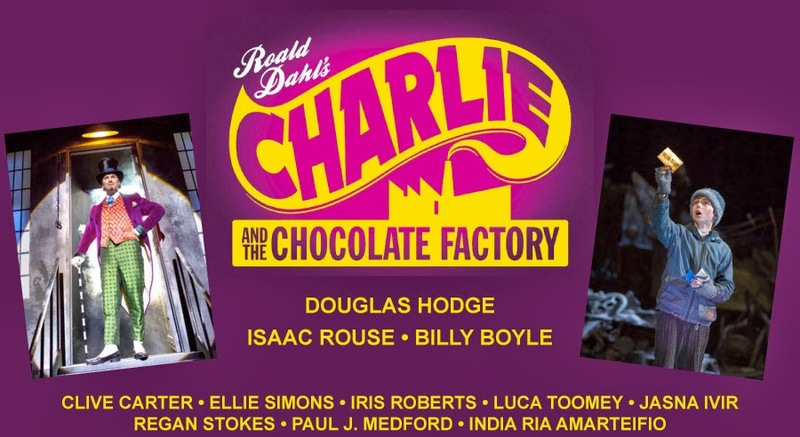 Although poor, Charlie manages to get a golden ticket and with his grandfather goes to the factory, along with four horrible child and their parents. 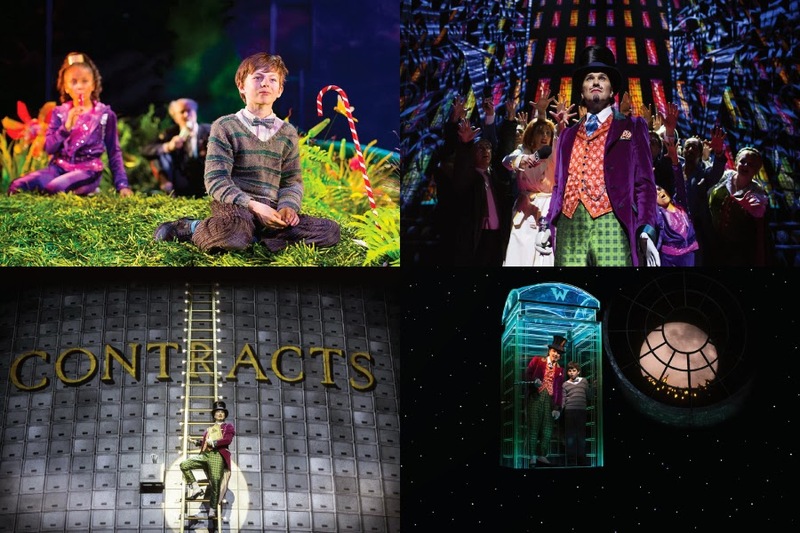 Review: I never read the Roald Dahl’s book or even saw the movie version starring Gene Wilder. My first contact with the story was with Tim Burton’s fabulous movie adaptation, that was magic and made me cry. 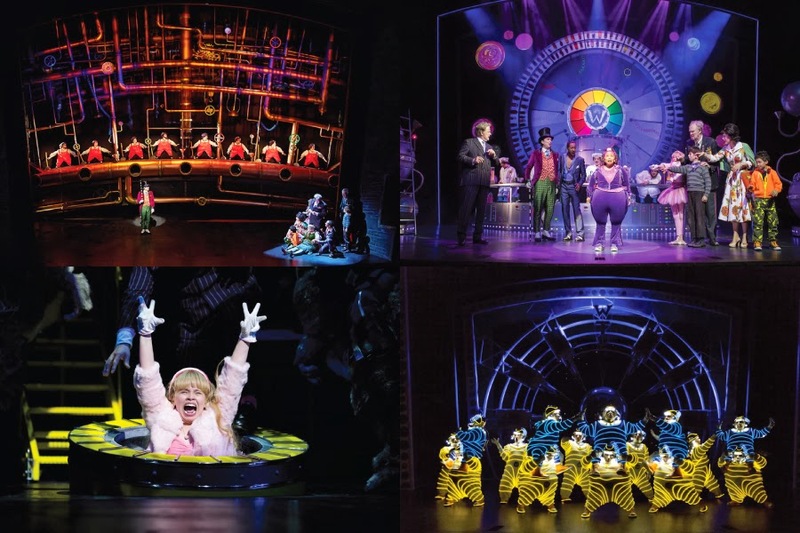 It’s obvious money wasn’t an issue when Warner Bros decided to transform CHARLIE AND THE CHOCOLATE FACTORY into a stage musical. So what we have here is a huge production, but unfortunately is heartless and soulless. I wasn’t able to connect with the characters and so I wasn’t emotional involved with what happened on stage. The first act is boringly slow and made me sleepy. In it we got to know the winning children through a television show that I think is supposed to be funny, but it isn’t and the songs are uninteresting. Charlie’s songs are dull and there’s also a depressing ballad, “If Your Mother Were Here”, sung by his parents. 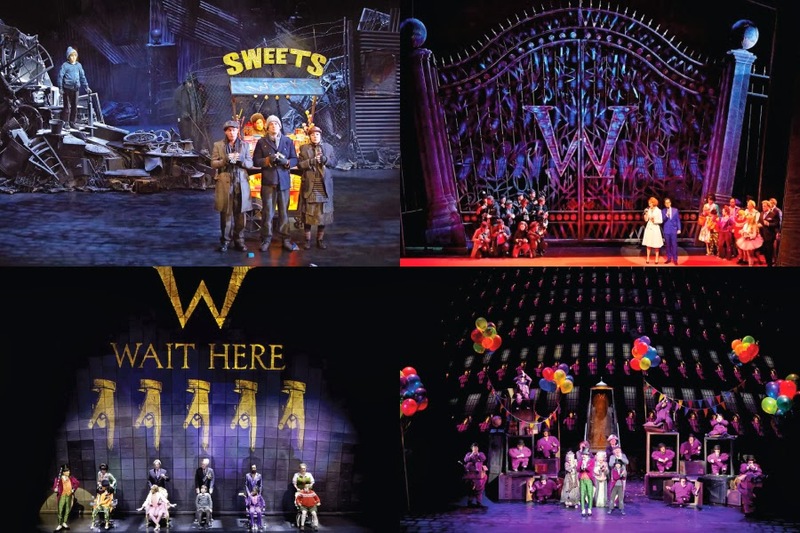 The only lively numbers are the ones sung by Charlie’s grandparents – “The Amazing Tale of Mr. Willy Wonka” and “Don’t Ya Pinch Me, Charlie”. On the second act we finally go inside the chocolate factory, but even with the gigantic sets and the use and abuse of projections (leds?) things don’t become very interesting. Everything happens too quickly and the much-needed magic only happens when Willy takes Charlie on his glass elevator. But that’s not enough to save this musical. Sam Mendes directs everything with a heavy hand and the humor doesn’t work. 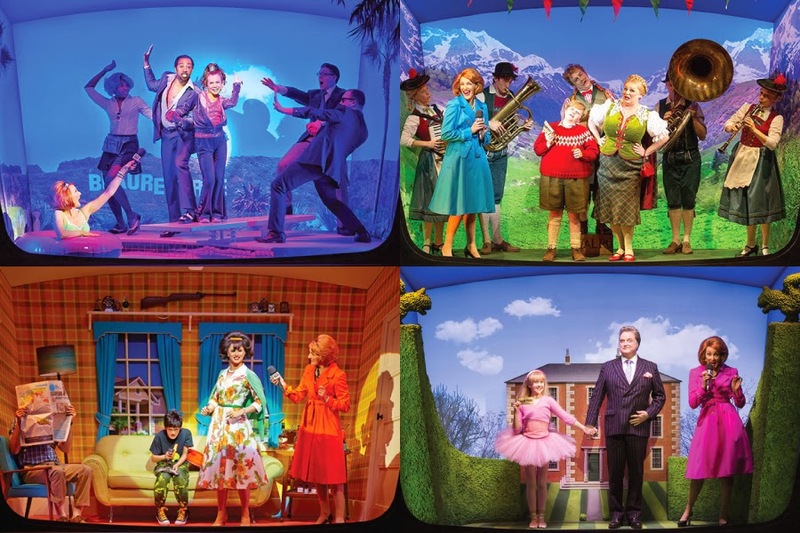 The choreography by Peter Darling is disappointing; to imagine what he could have done with the Oompa-Loompas… The score by Marc Shaiman and Scott Wittman only comes alive when the orchestra plays the overture of act two and it reminded me of better scores like OLIVER, MARY POPPINS, CHITTY CHITTY BANG BANG and DOCTOR DOLITTLE. None of the songs are catchy. In fact, the best song of the entire score is “Pure Imagination”, that was written by Leslie Bricusse and Anthony Newley for the Gene Wilder movie. Maybe they should have used more songs from that movie. Anyway, no one can say that the score is monotonous, but it’s easily forgettable. Douglas Hodge was fabulous in GUYS AND DOLLS and LA CAGE AUX FOLLES, but in the role of Willy Wonka he didn’t convince me. His character should be bigger than life and he plays it like he’s running a circus; I felt that he isn’t having any fun or pleasure doing it. As for his singing voice sometimes I could hear Zaza in it. As Grandpa Joe, Billy Boyle seems like he is enjoying his role and plays it lively. Isaac Rouse is a sweet Charlie, but he doesn’t have any number where he can shine. As the four horrible children, Regan Stokes, Ellie Simmons, India Ria Amarteifio and Luca Toomey were convincingly unlikable. Not very far from the theatre where this dull musical is playing we can see MATILDA, also based on a Roald Dahl book, and this one is simply a work of genius. Both shows are made with children as their main target, but while MATILDA appeals to all ages, this CHARLIE is a childish tedious show that can put children and grownups sleeping.